About Us | K&W Tool and Machine Inc.
K&W Tool and Machine Inc. was founded in 1998 by Joe Kohn in Sheridan, MI. Joe completed his apprenticeship during the twelve years he was with Tomco Tool and Die to become a certified Journeyman Tool and Die Maker. A strong background in the automotive industry set forth the early foundation for K&W Tool, which has now led into a diversified presence in Defense, Ammunition Tooling, Mining, Commercial Vehicle, Special Machines and Automotive Tooling industries. K&W Tool has extensive experience in many different types of Armor cutting, Ballistic Aluminum cutting and other exotic materials utilized by the current industries in which we are involved. 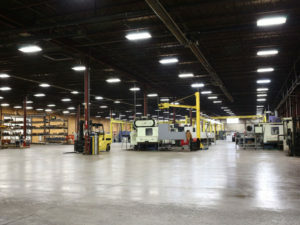 K&W Tool’s growth into our 100,000 sq ft facility has allowed us to add additional employees, equipment and departments to allow us to meticulously manage every job as the work travels through our facility, from designing, machining, bending, welding, assembling, to our customer’s facility with onsite management services during trials of tooling. K&W Tool not only continues to invest in the company, but also in its employees through continued education towards apprenticeship programs registered with the U.S. Department of Labor and AWS Certified Welding Programs. 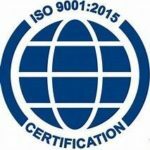 K&W Tool is ISO-9001-2008 certified, ITAR compliant, CCR Registered and HubZone certified. From prototype to production, K&W Tool and Machine can meet your specific industry needs. Please feel free to contact us for more information. K&W Tool is proud to be a member of the Great Lakes Tool & Die Collaborative. K&W Tool & Machine Inc.